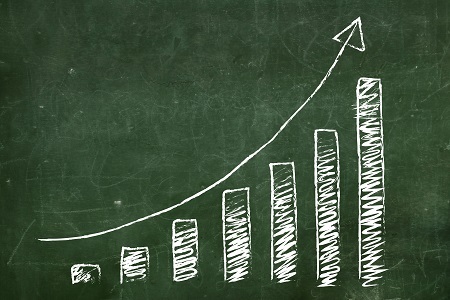 If you want to dramatically grow your revenue you need to determine what will propel or ignite your company’s revenue growth. What are the critical elements of your go-to-market strategy and plan that will make the difference for you? What do you have in place and what is missing? Are you operating on all cylinders? By working with management teams of software, cloud, and services companies over the past 10 years I have learned which revenue growth practices not only work, but which can really make the difference for your success. 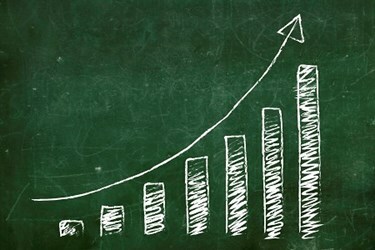 Let’s review five ways you can ignite your revenue growth and innovative best practices which you can implement today. There are many ways you can improve your direct sales performance at your company. Let’s review two significant catalysts you can implement now. At the end of every quarter, most executives focus on bottom-of-funnel opportunities that can be closed to achieve revenue goals for the quarter. This often involves providing incentives that can reduce profitability or tremendous focus to accelerate the buying process. One of the best ways to improve direct sales performance is to increase the quality and quantity of the sales leads that are created. I believe marketing can create 100 percent of the leads for your sales team. By putting in a demand generation engine you can determine the number of marketing qualified leads, sales qualified leads, and closed transactions that need to be closed every month to achieve your quarterly and annual revenue target. The CEO of a financial applications and e-payment solutions provider asked how he could double their revenue every year. I calculated we needed to help him generate 350 MQLs per month instead of the 38 MQLs per month they were currently generating. Imagine that — a 10X multiplier! But our team created the mix of campaigns and offers that created 350 MQLs per month and they doubled revenue growth every year. Another factor limiting sales performance is the number of prospects that know you exist and can purchase from you. I have surveyed CEOs for the past 10 years and always ask what percent of their target audience they are reaching; the surprising answer is typically 10 percent or less. I advocate you need to develop and deploy a strategy to reach 100 percent of your target audience over time. At an analytics company, we determined their target audience to be 500,000 CIOs in North America. The strategy we deployed was to add 10 percent of the database for their target audience so that in two-and-a-half years they could reach their entire audience. The other reason why reach is important is you do not know which 5 to 10 percent of your target audience is ready to evaluate and buy your type of solution or service today. Another way to ignite revenue growth is to improve your “wallet share” with you current customers. As a software or cloud company, your engineering team continues to add substantial, new capabilities to your solution. Some of these enhancements are included in your maintenance stream and some could be sold as separate solutions. How do you ensure that you gain the incremental revenue associated with new offerings? One of our clients provides software solutions to over 6000 customers in the higher education industry. Over the past 10 years, they have added up to 15 separate solutions or modules. The challenge was their typical customer only used two to three of these solutions or modules. Working together, they created a dedicated sales team to work with current customers and we created monthly webinars and campaigns to introduce their customers to the benefits of integrated solutions and the incremental value available when these modules or solutions work together. We also found there is nothing better than having successful customers present their use and implementation of their solutions to other customers. The strongest reference group is one’s peers. By using this approach this company was able to double their wallet share with each customer. Most software or cloud companies have a channel partner program which may include resellers or OEM/private label partners. The issue most often voiced by many executives is 20 percent of their channel partners account for more than 80 percent of their indirect sales. The other challenge is many of these partner programs are opportunistic so your solution is only offered when their prospects expresses a need for your solution. The key is to migrate from an opportunistic to proactive channel partner program that drives revenue growth — for your partner and for you. It begins by selecting the right channel partners and negotiating the right agreement and incentives in the partner program. The ultimate partnering goal is to have your solution or service included in every partner deal. When I was CEO at Intacct, a cloud provider of financial applications, we had 300 OEM/private label partners — many CPA firms — that offered our solution to every new customer. This approach gave us predictable revenue based on the partner’s track record and neither party had to explain the partnership to every potential customer. Another key is to select the right partners. Create a partner scorecard that rates every potential partner on 10 key attributes that represent fit with your company/solution and their historical partnering competency. For example, it’s important their sales team gets compensated for the sale of your solution on par with their solutions. Sales representatives are always looking to maximize their earnings based on their compensation and quota plan. Another key ingredient is both parties contribute money and resources to generate sales leads for the partner sales team. Nothing primes the pump for your partner channel like quality sales leads. There are many opportunities to expand your solution or services footprint. Too many companies automatically add all of their new enhancements as part of their maintenance stream and do not monetize this innovation. As your engineering team continues to add additional capabilities to your solutions set, you may decide to apply progressive bundling to create three or more editions of your platform that are well suited to the needs of different customer profiles. Recently I worked with an innovative global social media management services firm that wanted our help launching four new services this year. The challenge was their sales team found it difficult to sell many point solutions separately. We worked with them to create the social customer journey and solution editions that provided a set of integrated services depending on where their customer was positioned on their social customer journey. These are two innovative ways to gain the accretive revenue as you expand your solutions or service footprint. Finally, when you have success in a particular market, field, or geography you want to first fully penetrate that market to win it. Next, you investigate how you can expand into adjacent or new markets. Many companies hire a new sales and marketing team dedicated to driving business growth in that new market; the challenge with this approach is it can be very expensive take a long time to recoup that initial investment. Is there a better way? Robert Jurkowski is the CEO and founder for Revenue Growth Strategy, a revenue growth advisory firm that partners with CEOs and business leaders to help them create and implement their revenue growth plan that is capital efficient, leverages best practices and gets results. He has built many successful software and cloud companies as CEO, COO, and Chief Revenue Officer in Silicon Valley and understands what is needed to succeed as an operating executive and strategic leader. To discuss your revenue growth goals, challenges and questions you can reach Robert at robert@revenuegrowthstrategy.com or call him at 1-800-735-6520.